“You don’t know what you’ve got ’til it’s gone.” The old adage came to mind as I thought about my local newspaper – the one that’s been printing my columns for several years. It reports on local government, sports, arts, births, deaths, achievements, crimes, churches and the myriad of other things that make up our daily lives. People still clip and deliver pictures of friends because it’s something important when your child’s picture is in the paper. I’ve lived mostly in small and mid-size communities with newspapers that have struggled to survive; and I’ve appreciated them as the nerve system of communities – the network that keeps people in touch with what others are doing. Today I took a look to see what’s happening in my towns. New Albany, Indiana – A student at the Community College has organized a “Recovery Rally” to “celebrate those in recovery and remember those who lost their battles.” The President of the Community College System and the state Drug Czar (yes, it’s an official state level position) will participate. Urbana, Ohio – On Sunday afternoon there was a fund-raising bike ride on the Simon Kenton Trail. 15 miles are paved. Proceeds went toward completing the 32-mile trail to a connection that will allow a 109-mile ride from Urbana to Cincinnati. Asheboro, North Carolina – Journalist and author Kevin Maurer will speak at the Sunset Theater at 7 p.m. on September 13. He is co-author along with a Navy Seal of “No Easy Day” an account of the killing of Osama Bin Laden. Each of those stories is important in its local community but of no particular interest in the others. What will happen if too few people show up to hear the writer, contribute to the bike trail and support those recovering from drug addiction? Each of the newspapers covered other local stories, good news and tragedies. Residents might learn about a few of them in one way or another via social media but only the newspaper attempts to bring so many local stories together in one place. Those newspapers are the only places where journalists with professional skills report local news in a reliable and consistent way. A few days ago, I had conversations with two executives who don’t subscribe to a local newspaper. They both get their news from regional TV and a large market newspaper. I was amazed to find that both were completely unaware of big local stories about possible tax increases to fund major construction projects. But, how would they know? Their chosen news outlets don’t cover the places where they live. My first draft referred to “the communities where they live.” I changed “communities” to “places” because the places cease to be communities when the people who live there don’t know about each other or about local events. We can’t care about things and people that we don’t know. We won’t attend invisible events. Because my work is published, I hear complaints about newspapers and journalists. I’m glad about that. Only the people who read the newspaper know enough to complain when something isn’t just right (or when they don’t like seeing the truth in print). Don’t just complain about the newspaper. Complain to the newspaper. I’ve been around enough journalists to know that they can handle it and in most cases they’ll use valid criticism as an opportunity to improve. Most of all, what we need is for more people to subscribe. More subscribers means the newspaper can charge higher rates for advertising. They need both of those revenue streams. If you’re reading free on-line please beware. When we reach the point where everyone reads “free” the journalism will be worth exactly what you’re paying for it. For reference, examine the accuracy and quality of your free Facebook feed. Six days per week my newspaper brings information worth far more than the $14 that I pay each month. But the greatest value is that so many of my friends and neighbors get the same information. We learn the same facts. That makes us a community. Without it, we’re just a place on a map. I want to live in a community, not a place. It’s true too often that you don’t know what you’ve got ’til it’s gone. This column originally appeared in the Urbana Daily Citizen, a publication of AIM Media Midwest. Bob Morrison lived in Urbana from 1982-1992 and served as president of Mercy Memorial Hospital and as president of the Champaign County Chamber of Commerce. 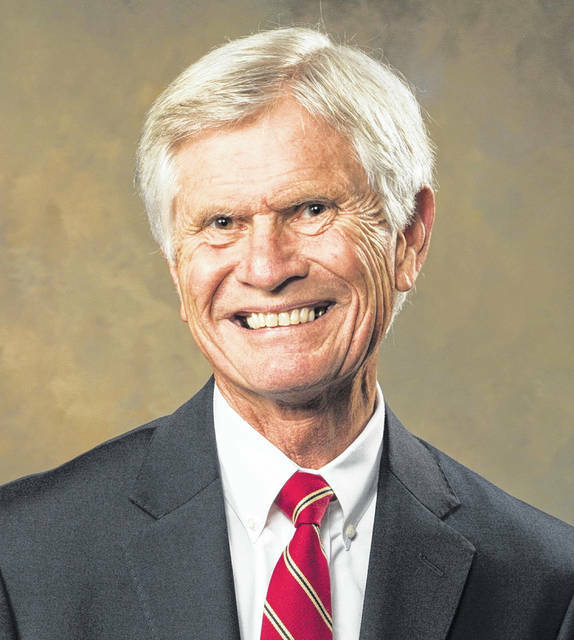 He is retired from serving as president of Randolph Hospital from 1992-2012 in Asheboro, N.C., where he still resides.